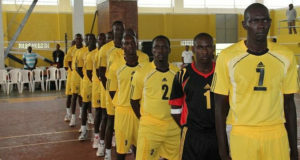 The Uganda Volleyball Cranes’ chances are dim due to alleged intrigue. Uganda Volleyball Cranes fortunes of putting up a splendid show at the Africa Volleyball Confederation (CAVB) Zone V qualifiers may have been sacrificed on the alter of counter intrigue that pits Uganda Volleyball Federation (UVF) against the managers; Sport-S and Nemostars. The build-up to the tournament that gets underway today has been plagued with controversy brewing in the Volleyball Cranes camp. Sport-S employers of Dickens Otim Albert Gayi in addition to Nemostars, who own the duo of George Aporu and Smith Okumu, conspired to withdraw their players at the eleventh hour as the team departed to Rwanda on Thursday. Daudi Okello has been named assistant captain. Sources told PML Daily that a hasty emergency meeting between UVF and irritated team managers was organized to weather the storm but both sides failed to reach a consensus. UVF President Hadijah Namanda, according to sources, insisted that the players be included on the travelling team because Coach Nason Bwesigye was eager to use them. In the bid to paper over the cracks, Coach Nason Bwesigye has named Emma Kato as new captain replacing Dickens Otim with Daudi Okello his assistant replacing Gorge Aporu. Without the services of George Aporu and Dickens Otim, arguably the two best players in Uganda Volleyball, Volleyball Cranes team looks literally at seams as they open their account today against Kenya at Amahoro Indoor stadium. The pair’s omission may return to haunt Uganda. They have been in the national team fold for the past six years and in light of Ivan Ongom missing the trip due to injury, Uganda’s chances of mounting a sufficient challenge are in real jeopardy. Unfortunately, as far as success is concerned at the qualifying regional meet, Volleyball Cranes will reflect on their past results with a sly smile and perhaps even a bit of perplexity. Uganda has miserably failed to usurp neighbours Rwanda and Egypt in the last two tournaments in 2013 and 2015 for the top two qualification slots, but their was a glimmer of hope that the obstacle would be finally broken after Egypt decided not to participate. 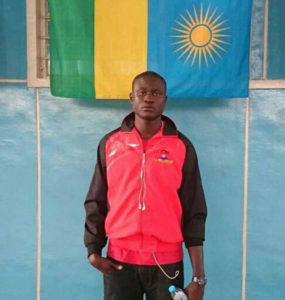 And Nason Bwesigye will be banking on beleaguered youngster Cuthbert Malinga ,Emma Kato and Bulgarian-based hard-hitter Daudi Okello. The top two teams will qualify for the Africa Cup of Nations that will be held in Egypt in October where the top two teams will earn tickets to play at the 2018 World championships finals that will be held in Japan from September 30 to October 21.